Starbucks branded itself as “the third place” - it is not home and it is not work but it is a place where you can feel at home with friends or sit down with your laptop and work. But let’s be honest. This is not unique to the global coffee chain. 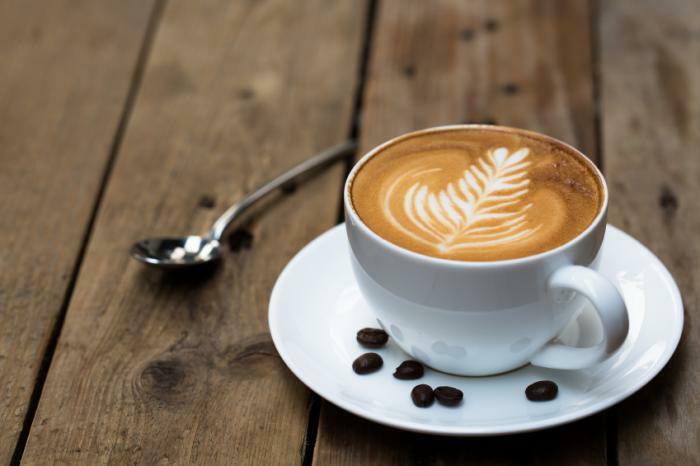 In fact, as Americans become more conscious of the economics of supporting local businesses, even in Seattle - the home of Starbucks, plenty of people opt for the locally-owned neighborhood coffee house to meet with friends or get some work done while getting their daily caffeine fix. Here are ten great coffee shops in Manhattan that you should check out the next time you want an hour out of the office or want to take a client to coffee. What happens when you mix espresso with art, science and cool? You get Sweetleaf. As a customer, we want a great space with great coffee. You’ll get that here. You also might get a lesson on how to measure total dissolved solids or how the extraction processes works, as shown through software the baristas use. This place uses top-of-the-line technology and techniques to make sure your cappuccino measures up. The store is also great quirky place to hang out as it is housed in a 19th century building with imported Parisian antiques. Have an order of community building with your coffee. At Pushcart Coffee, customers, venders, baristas and the neighborhood the store is located in are all important and Pushcart does what it can to bring people together. They source locally and rent out their space to make the store as not just a coffee house but also a community gathering space. Pushcart is also serious about quality and they invite customers to cuppings and their roastery to learn about the process from bean to cup. Address: 72 W. 38th St. When you go for coffee, do you double up on your vices and go for caffeine and sugar? If you answered ‘yes’ to that, this is your places. Culture Espresso understands that the coffee process starts long before the customer gets to the counter and this is why the owners are obsessed with finding the right beans and roasters. Their current beans are roasted by Heart Coffee Roasters out of Portland, OR. As for the sweets, the cookies are to die for. Also, it can’t go without mentioning that this is a stunning space marked by paintings, a beautiful chandelier and a full-length hardwood table for communal or big group seating. This place is the perfect combination of comfort, elegance, and yum. With its minimalist style, Third Rail Coffee is simple yet a great place to have a cup of coffee and chat with a friend or get some work done. Additionally, this is not just a place to have a great cup of coffee from the traditional espresso menu, you can also get all the stuff you need to grind and brew your own at home. We also cannot forget that Third Rail Coffee is an exclusive seller of dairy-free, soy-free, gluten-free Outlaw granola bars. At Intelligentsia Coffee at Highline Hotel, sustainability matters and so does taste. Intelligentsia embraces the idea of moving coffee straight from farmers to roasters cutting out all the middle men and making sure farmers get a fair cut. They also go beyond the espresso menu and serve a number of types of great tea. Address: 700 E. 9th St. AND Lombardy Hotel, 109 E. 56th St.
Ninth Street Espresso opened its doors fifteen years ago in 2001 with the goal of making the best quality coffee possible. Period. The serious coffee houses stay away from all of the flavored syrups and extras but this one takes it to a new level with only four coffee items on the menu – brewed coffee, iced coffee, espresso, and espresso with milk. They keep the menu small but they perfect every item on it without the bells and whistles. Address: 115 St. Marks Pl. Box Kite Coffee’s secret to success is variety. This coffee shop does not stick to beans from a single location or to a single roaster. They strive to offer customers a chance to try coffee done different ways and with beans from around the world. Additionally, the variety does not end at the coffee. Box Kite also offers a full breakfast/lunch menu and a dinner menu with boozier options. If you feel like busting out of the traditional coffee house and trying some new things, including coffee-inspired cocktails in the evening, this may be your place. Do you like coffee but roll your eyes at the purists who scoff at the idea of an ice pumpkin pie latte? 12 Corners is your place. Order up your mocha latte or your green tea latte and enjoy. The baristas at this one even get a little more creative than other nearby coffee houses with the foam designs. This place just has a nice neighborhood coffee shop vibe. Not many frill, just friendly and laid back. Address: 225 W. 79th St.
Irving Farm Coffee Roasters are serious. Not only do they have coffee houses all over the city, but they have a space where they offer beginner and advanced courses for everything related to coffee. They even have jam sessions there where baristas can get creative in a customer-free zone. You know what that means? Really good baristas that know how to make really good coffee. They also serve some light food options like sandwiches and fresh baked biscuits in case you need a break in between testing the baristas’ talent. They also have beer on tap and a selection of wines. Address: w 10036 W. 47th St.
Frisson Espresso is your simple, cozy, neighborhood coffee house. Do you want to be wowed with swans, leaves, and hearts in your latte foam? Do you want to get away from the tourist track and just kick back? Check out Frisson with a book and a friend and enjoy a break in your day. Though these are fantastic coffee spots, this is by no means a complete list. One of the great things about New York, and Manhattan in particular, is the number of fantastic coffee shops you can come across that embrace both customer service and quality. Whether you want to meet with friends, work, get a pick-me-up, read the paper or just people watch, arguably one of the best pastimes in New York, coffee houses are the place.